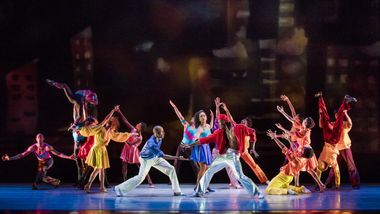 Please Credit Photo: Alvin Ailey American Dance Theater in Talley Beatty's Stack-Up. 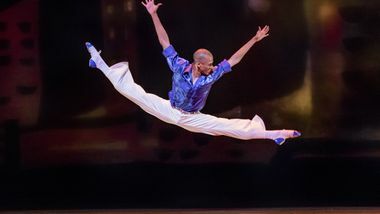 Photo by Paul Kolnik. 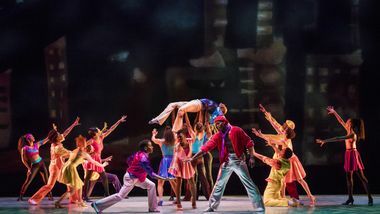 Inspired by Los Angeles’ urban landscape and the lives of its disparate inhabitants, Stack-Up depicts the emotional “traffic” in a community that is stacked on top of each other. 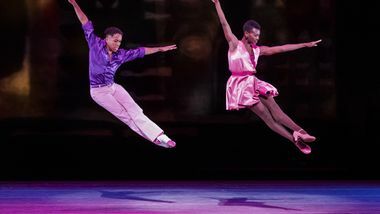 Tough, brutal yet poignant, the stage sizzles with street life, break dancing, and physical pyrotechnics as an aloof drug pusher and two displaced lovers are destined for collision. 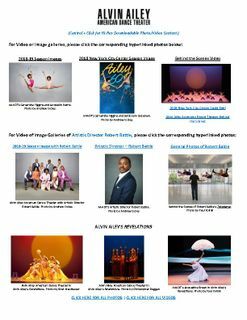 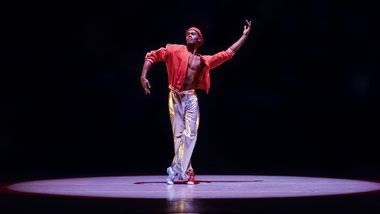 Alvin Ailey American Dance Theater performed the work during its 25th anniversary season in 1983 at New York City Center, and is being restaged in advance of the upcoming centennial of Mr. Beatty’s birth. 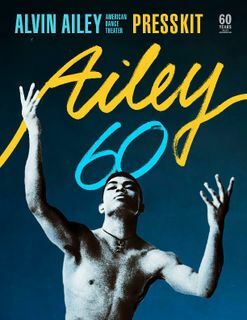 Set to the background of a throbbing 1970s beat (including music by Earth, Wind & Fire, Grover Washington, Jr., Fearless Four, and Alphonze Mouzon) and a graffiti landscape, patrons in a crowded disco dance with attitude, sass, and fierce despair in this classic work by Talley Beatty. 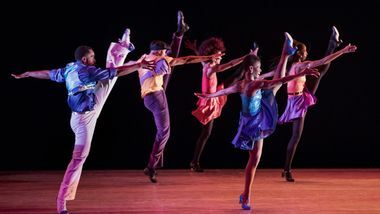 Two productions from the 1980s returned to the repertory of the Alvin Ailey American Dance Theater last week, in refurbished form. 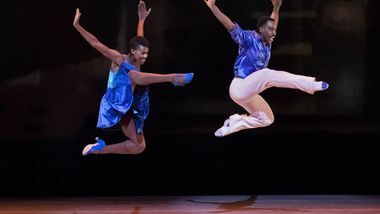 The new iterations of Jawole Willa Jo Zollar's "Shelter" (1988) and Talley Beatty's "Stack-Up" (1982), par of the company's five-week City Center season, proved a study in contrasts of how dances can weather the passage of time.